For China's Rising Leader, A Cave Was Once Home Xi Jinping is the son of a prominent political figure who fell out of favor in the 1960s. Just a teenager at the time, Xi was sent off to a remote rural area where he lived in a hillside cave for seven years. Xi Jinping (left) who is poised to become China's next leader, spent seven years living in a cave home in the 1960s and '70s after his father fell from power. Far from the political theater of China's Communist Party Congress in Beijing this week is a cave that the country's next leader once called home. Just 15 at the time, Xi Jinping was sent by his family in Beijing to the remote rural village Liangjiahe in the hills of Shaanxi Province, hundreds of miles away, where for seven years he lived in a cave scooped out of the yellow loess hillsides. He arrived there in 1968, after his father, a revolutionary fighter and former vice premier, had fallen from political favor. "Many kids were leaving Beijing and being seen off by their parents," says historian Tan Huwa from Yanan University. "Their kids were crying about leaving their lives in Beijing. But he was smiling when he left because leaving was his only way out," Tan says. "His father's situation was such that if he stayed, he wouldn't even amount to anything." 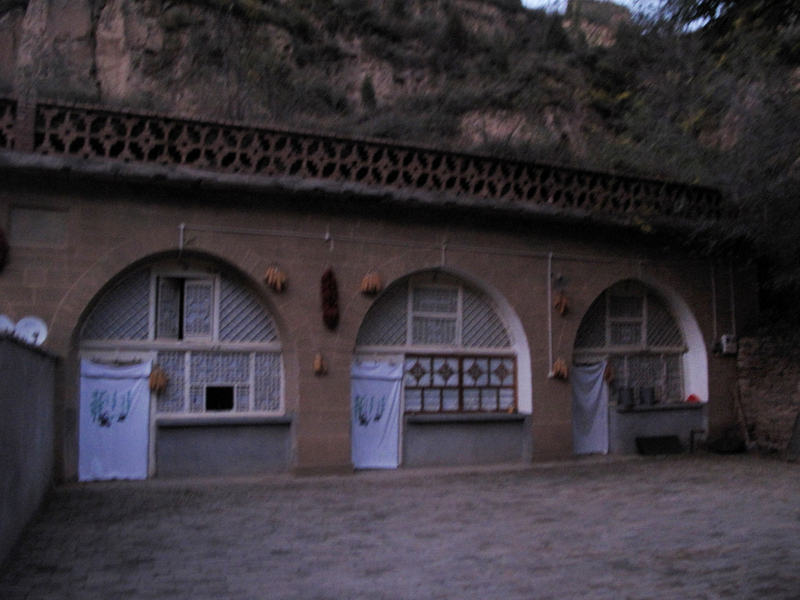 Xi lived in the cave house on the far right, in Liangjiahe village in central China. After his father's political downfall in Beijing, his parents sent him there when he was 15 in 1968. Now Xi Jinping stands on the verge of becoming one of the most powerful men in the world. Next week he will take over as the general secretary of China's Communist Party, and he is widely expected to ascend to the presidency in March. Mindful of the reputation of their most famous inhabitant, the villagers of Liangjiahe have become suspicious and tight-lipped. Minders hover in front of the cave Xi once inhabited, asking questions about any outsiders, and threatening those who stay in the village too long. Villagers have been ordered not to talk to journalists. But Xue Yubin, 84, may not have registered the warnings not to talk, since he's almost totally deaf. He's happy to share memories of Xi's time in the village. "He was a good young man," he says. "The villagers were impressed the son of such a high-ranking official would chat to ordinary people." "He lived close to me," Xue says. "As a young man, he liked learning. I also liked reading books." Xue joined the Communist army in 1947, and as a messenger, he used to deliver messages to the unit where Xi's father, Xi Zhongxun, was stationed. He says this familiarity with his father was a topic that fascinated the younger Xi. "He often asked me about what battles I fought in and whether I had met his father," Xue recalls. "I said, 'Yes, I met him when I was a military messenger.' He looked like his father. As a young man, his character was quite strong. His lifestyle was like his father, both liked to be close to the masses." In the village, Xi began working as the party secretary, holding study sessions and directing communal labor. He organized the villagers to dig 60 methane-generating pits. There's one that still stands outside a cave where Xi used to live, complete with a sign noting it's the first such pit in the province. The young princeling had to "eat bitterness" with the peasants, according to Yanan University's Tan Huwa. "He slept badly because he had fleas," he says. "He also wasn't used to hiking up and down the mountain slopes. "One night, they cooked an exceptionally good dinner," he adds. "They didn't know why. The next day they found out that when they had drawn water from the well, they'd also pulled up a snake and a frog in their bucket and cooked them in their meal." During the dark years of the Cultural Revolution in the 1960s and '70s, the extended Xi family suffered because of its links with Xi Zhongxun. "My nephews needed recommendations to be allowed to attend senior high school. 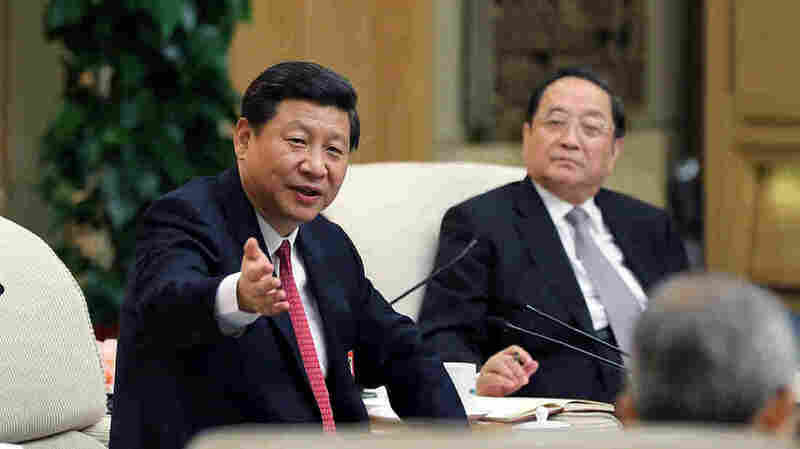 But because of their association with Xi Zhongxun, they weren't allowed," Xi Jinping's aunt, Ding Fengqin, told NPR. "These kids were all academically able." When Xi revisited Liangjiahe in 1992, he brought gifts for the villagers. Xue Yubin was away from the village at the time, but was left around $80, which he used on daily necessities. "He gave me a red flashlight," remembers Liu Yanzhi. "And he gave me a square clock as well." 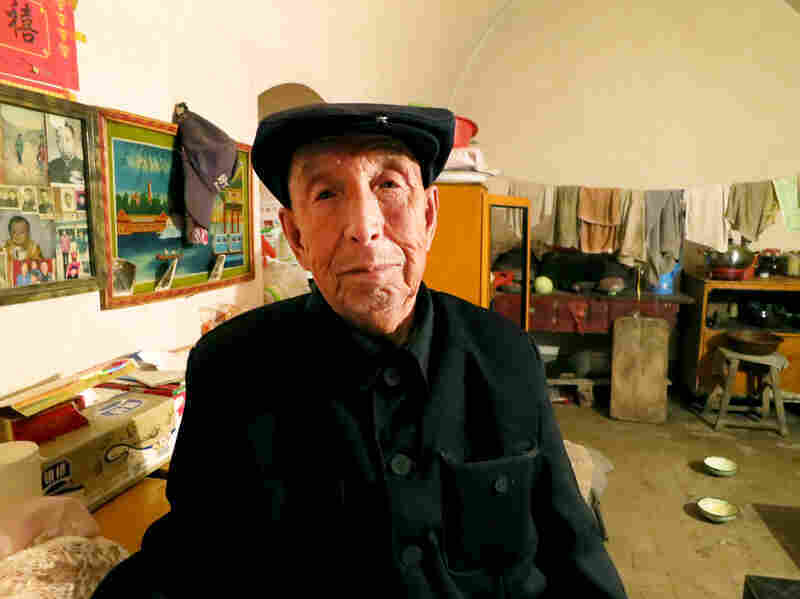 Xue Yubin, 84, used to chat to the young Xi when they lived in the same village. Xue also knew Xi's father. "His lifestyle was like his father, both liked to be close to the masses," Xue says. Most households received an alarm clock, so their children could get to school on time. Perhaps respect for punctuality is a family trait. "Arrive at school on time," is emblazoned across the front of Zhongxun primary school in his ancestral village of Dancun. The once sleepy village of Dancun, about 210 miles from Liangjiahe, is now reaping the rewards of its association with the Xi family, in a modern example of the Chinese saying, "When a man attains enlightenment, even his dogs and chickens go to heaven." The Xi Zhongxun school is being expanded, with a huge new wing being built alongside the existing modest building. Earthmovers trundle up and down beside the new building, where a six-lane highway is being constructed, along with a gigantic shopping center and an old people's home. All this construction has started in the past year, since NPR's last visit to the village. "It's an issue of national image," says construction supervisor Wang Wuying, who adds that it would look bad if a leader's hometown was poor. But Xi Jinping grew up in a house governed by his father's peasant habits, according to his father's official biographer, Jia Juchuan. "The lifestyle was simple," he says. "The thing Xi Jinping couldn't bear was that after his father took a bath, he wouldn't throw away the water, but made his two sons share it. The kids wore hand-me-downs. Sometimes Xi wore his sister's floral shoes, dyed black." Jia spent 16 years compiling the official biography of Xi Zhongxun. Only the first volume, covering his life until 1949, has been released. "I don't know what's happened to the second volume," Jia says, attributing its delay to "political reasons." Xi Zhongxun's career is politically sensitive, due to the 18 years in the '60s and '70s he spent in political disgrace. Some accounts also indicate the older Xi may have criticized the 1989 Tiananmen crackdown, though Jia says there's no evidence of this. Jia is sure, however, that the older Xi would not have approved of the projects designed to beautify his hometown. "In many places, they're using old revolutionaries as a reason to spend public money repairing old houses and building memorials," he says. "These things violate the party's principles and the wishes of the revolutionaries." Local residents are pleased by the investment, however. Close to Xi Zhongxun's former house are row after row of brand new greenhouses, built to modernize agriculture. Ambling between them is a woman named Mrs. Shen, who beams when asked whether the new investment in her village is because of its links with Xi Jinping. "I think there is some relationship, but not a lot," she says. But she goes on to say, "Of course we're happy. Our hometown has produced an emperor." So far, Xi Jinping remains a political enigma. But his background could allow hope for an emperor with a common touch.